A vacation to Niagara Falls can please even the most curmudgeonly of travelers. The beauty of the place combined with the high quality of its entertainment, dining, and hotel options make for a memorable and pleasurable escape — especially because Niagara Falls is so easy to enjoy on a budget. Whether you’re a family of six or just a thrifty vacationer, here are four keys to having a great time in Niagara Falls if you’re looking to save some money. The most popular time to visit Niagara Falls — from June through August — is also the most expensive time to visit. While the weather is postcard perfect and every one of the region’s sights and attractions are in full swing, for the traveler hoping to save some valuable scratch, the peak season should be avoided. Instead, head out a little earlier in the year. From discounted attractions to drastically lowered hotel rates, visit Niagara during late winter, early spring and fall, and you’ll save plenty. 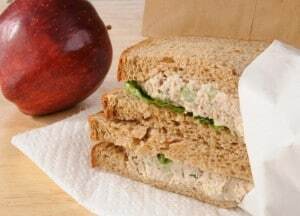 While there’s little that’s glamorous about it, especially when you’re on vacation, packing your lunch is a great way to save as much as $15 per person each day you do it. Book a hotel room that includes at least a small refrigerator, if not a kitchenette, and hit one of the local grocery stores where you can stock up on supplies that will yield tasty midday meals. Also, be sure to make use of in-room and hotel lobby coffee for all your caffeine needs. By avoiding paying for lunch and coffee when you’re out and about, you’ll save yourself precious funds to spend on dinner, wine, and the like. Niagara Parks Botanical Gardens. This 99-acre park is filled with lovely perennials and flowering plants. Regardless of the time of year, the immaculately manicured space makes for an ideal and picturesque walk, and on sunny days, it’s ideal for a picnic or a leisurely outdoor game of chess. 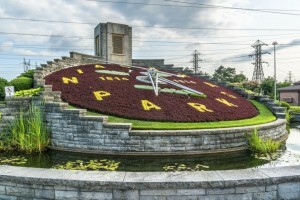 The Floral Clock. Just north of the Botanical Gardens sits one of the world’s largest floral clocks. 40 feet in diameter, the floral face is changed twice each season. Niagara Glen Nature Centre. This nature reserve and visitor’s center offers tourists excellent hiking and a wealth of information about the geography and topography of the Niagara area. The Niagara Parkway. Ideal to bike, walk, or drive, the Niagara Parkway winds between Fort Erie and Niagara-on-the-lake for 35 picturesque miles. Winston Churchill declared the parkway made for the prettiest Sunday afternoon drive in the world. Of course, even the thriftiest travelers to Niagara Falls would be wise to splurge on a few attractions or events. The trick is choosing what will be the most satisfying experience for the money. From magic shows and musical dinner theater to world-class restaurants with extensive and one-of-a-kind wine lists, assess your priorities before you head to Niagara, and when the time comes, drop your well-earned dollars on something that will make your spirit sing. There are countless reasons Niagara Falls is one of the most popular tourist destinations in the world, and enjoying it on a budget is one of them.